• Urad daal - 3 tablespoons. • Peanuts (roasted) - 1 cup. • Garlic - 8 cloves. • Chilly powder - 1+1/2 tablespoon. Heat oil in a pan add garlic, roasted peanuts, red chilly powder, tamarind juice, salt, mix this all together, switch off the flame, put it into the blender and make a paste. For tempering heat oil in a pan and add mustard seeds, when mustard seeds splutter, add cumin seeds, Urad daal, add asafoetida, curry leaves, roast this till Urad daal is golden in colour, let it cool down put it into the blender make a coarse powder. Take a bowl add peanuts garlic paste and add the tempering mixture and mix it well. Serve this with idli, upma. Peanut chutney recipe -This fiery recipe is very easy to make and share with your family, friend. It tastes great with Idli's, dosa and vadas. Peanut Chutney is a super, creamy, slightly sweet, mildly spiced versatile accompaniment served with Idli or dosa and a very popular recipe from the southern India. This chutney&nbs... Read More..
Peanut Chutney is a super, creamy, slightly sweet, mildly spiced versatile accompaniment served with Idli or dosa and a very popular recipe from the southern India. This chutney is actually a very different dish made from the regular variety which is normally prepared on daily basis at most homes. Peanut chutney can be prepared in two types, wet or dry. Generally, the wet version of the peanut chutney is served with dosa or idli while the dry version is used as spread or as an accompaniment. This Idli Peanut Chutney is made with the creamy goodness of roasted peanuts; flavored with few garlic bulbs, spiced with red chilli powder and the kick of tanginess from the tamarind water; all blended together smoothly and added with a nice tempering mixture made of mustard seeds, warmth of cumin seeds, crunchiness from urad dal and earthy and fresh flavors of curry leaves emanating into this super awesome dish that would tempt you eat the chutney just like that. Any chutney that you make requires a nice tempering commonly known as Chounk, Tadka, Chonk, Thallithal, Baghara, Thalimpu or popu, oggarane, vaghaar, fodni or baghaar in India. Tempering is a wonderful aromatic garnish or cooking technique used in most Indian, Pakistani and Bangladeshi cuisines in which whole spices, garlic, ginger slices, and lentils like urad or channa dal are fried briefly in ghee or oil to liberate essential oils and enhance their flavors before being poured into the dish. Peanut scientifically known as Arachis hypogaea is a species in the legume or bean family. Peanuts are almost abundantly used in various forms in most Maharashtrian dishes mainly for its buttery and nutty taste. Peanuts can be added to healthy sautéed chicken and vegetables or salads to give a nice crunchiness to the dish. Peanuts or ground nuts are used in various culinary purposes. They can be eaten as a straight food or roasted or salted peanuts can be made as peanut butter and used in sandwiches, candy bars and cookies. Some of amazing recipes with peanuts are Idli peanut chutney, Chicken satay with peanut sauce, Peanut and tomato chutney, Peanut chikki, Okra peanut mixture and many more.. The word Chutney is derived from an Indian term Chatni meaning crushed. Chutneys are generally dry or wet which has a rough to fine consistency. Chutneys can be very spicy, mild or sweet and by toasting the spices, the essential oils are released which is what gives the spices their unique aroma making them more pungent and flavorful. A traditional chutney is made from numerous spices and veggie ground in the specific order to a rough moist paste and seasoned with mustard seeds, curry leaves and urad dal sautéed either in veggie oil or gingerly oil. There's no limit to the amount of chutneys which can be produced from almost any vegetable/fruit/herb/spices or a mix of them. Chutneys are available in two main categories, sweet and hot; each type generally include numerous spices, such as chili, but vary by their key taste. It is an important ingredient for serving idli, dosa, vada, uttapam, Sandwiches or most chat items like samosa, pakora, aloo paratha and so on. in short, it is the main component for Indian snack item. 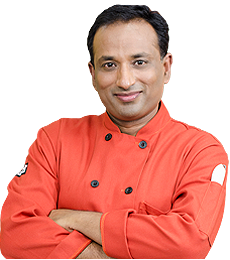 Most of the famous chutney recipes are made using coconut, mint, coriander, ginger, mango, tamarind, red chilli, green chilli, peanut, tomato and lots more…. The chutney can be stored for a couple of days in refrigerator. These chutney ‘s taste awesome when ground in traditional mortar and pestle. If you have the equipment and energy to make it that way, believe me, you can get the real taste of these chutney’s. Peanutsare a very good source of mono-unsaturated fats, the type of fat that is emphasized in the heart-healthy diet. Peanutsare good sources of vitamin E, niacin, folate, protein and manganese. This Idli peanut chutney is an easy and quickie accompaniment. This chutney is often served by the road side food stalls selling Idli or vada. Wat is pinch of heng?? Hi tell were is that vender ? I have tried many recipes of u thank u so much for this chtney? I just cooked this, n licked a finger full and said to myself "VAH RE VAH"? yes.. u do inspire chef !! ur recipes r gr8.. thnx for sharing ur culinary talent vid us :)?